Good news for fans of truck simulator games. Euro Truck Simulator 2 will have a native Linux version. Drive 8 highly detailed truck models with design based on real European vehicles. Expansive virtual game world with over 60 cities connected by highways and local roads. Vast distances to drive to explore the whole map - the farthest points in the world are three hours of real time apart when driving at full speed. Build your own logistics company from rags to riches - buy trucks and garages, hire drivers, manage your company for maximum profits. Customize your trucks - wide selection of parts to replace and add to vehicles - bars, horns, beacons, smoke exhausts. 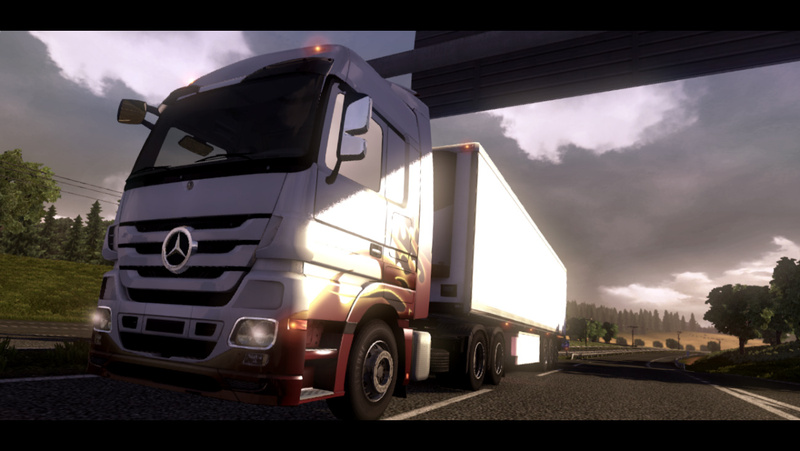 Euro Truck Simulator 2 is powered by Prism3D, a multiplatform game engine written in C++. It supports both 32-bit and 64-bit target architectures on Windows, Mac and Linux out of the box. Euro Truck Simulator 2 is on Steam Greenlight, so lets vote for it and get it included in Steam catalog.